CHICAGO: 2015 is a good year so far for apples across Northern Michigan. Michigan’s apple growers will harvest approximately 24 million bushels of apples this year, according to the official crop estimate announced August 21 at the USApple Outlook meeting in Chicago. This estimate is slightly above Michigan’s average harvest of 22.83 million bushels. “It’s always an exciting time when the apples are being harvested and there is so much consumer anticipation for the crop. Michigan’s growers, packers and shippers are ready for a busy season getting their apples into the marketplace,” said Diane Smith, executive director of the Michigan Apple Committee. 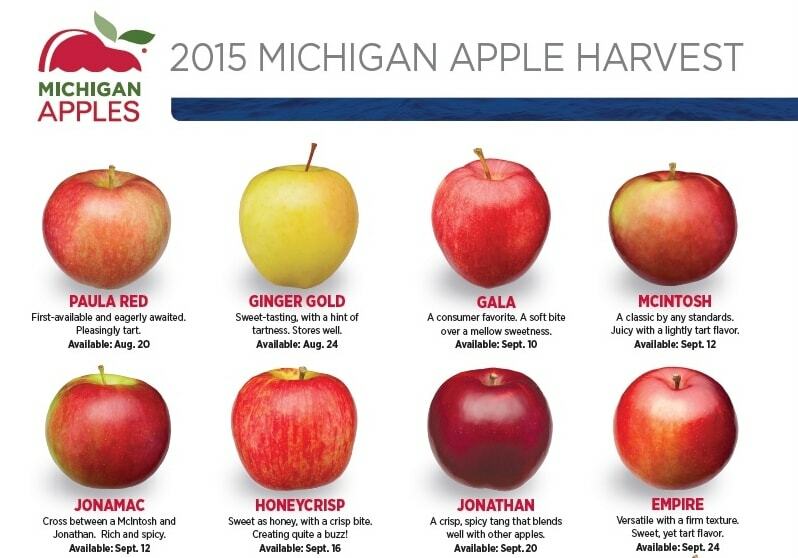 In 2014, Michigan growers harvested 24 million bushels (1.008 billion pounds) of apples. Michigan saw a record crop of 30 million bushels in 2013 after the crop loss of 2012 brought in only three million bushels. With apple packers busy into the month of July with the 2014 crop, consumers and retailers can expect a nearly year-round supply of Michigan Apples. The USApple Outlook meeting conducts an estimate of crop sizes for the large apple producing states annually in August. The estimate is important for Michigan as apples are the state’s largest and most valuable fruit crop. Michigan ranks third in the nation in apple production, behind Washington and New York. The Michigan Apple Committee is a grower-funded nonprofit organization devoted to marketing, education and research activities to distinguish the Michigan apple and encourage its consumption in Michigan and around the world. For more information, visit http://MichiganApples.com.